How is my baby girl already 11 mths old?! 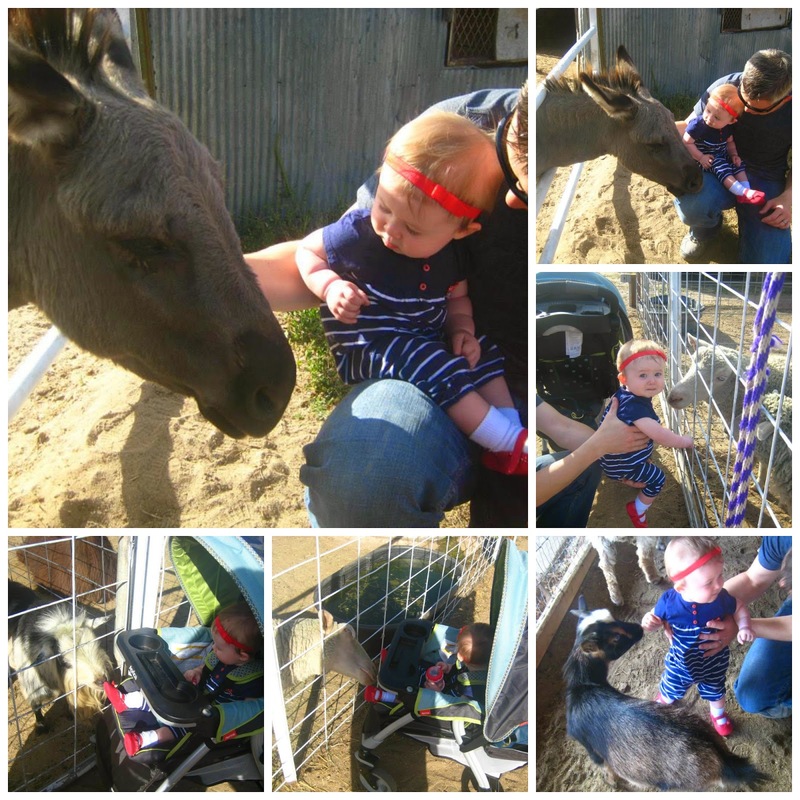 Miss S had a pretty eventful month so here are her adventures recapped. Her monthly photo shoot is getting fun. She is so active and isn't too keen on sitting still for good pictures these days but I managed to snag a few. We have been soaking up that last little bit of warm weather playing outside. 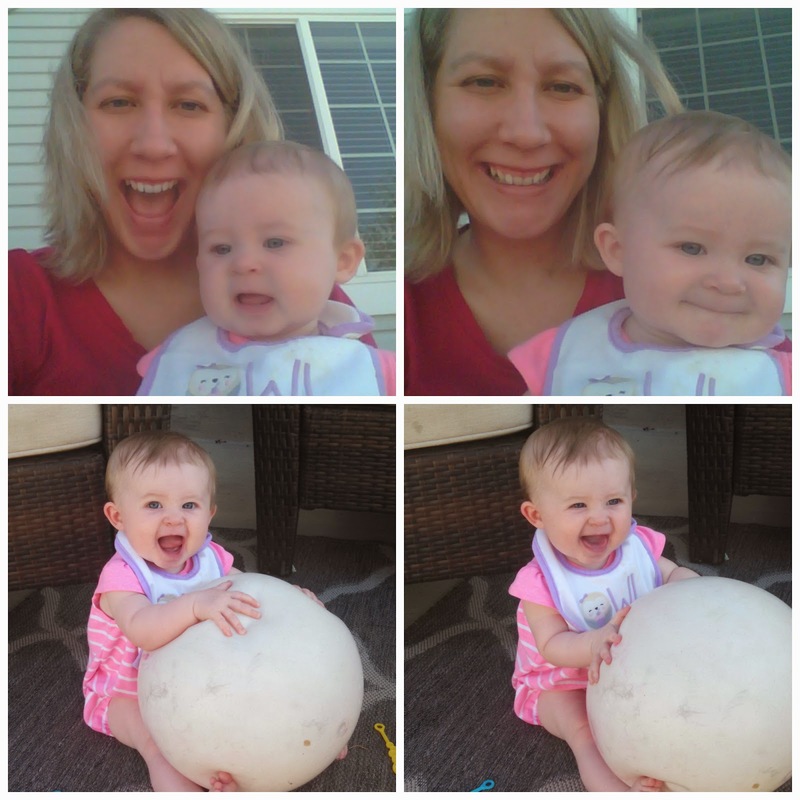 She was super excited to play with the large ball. 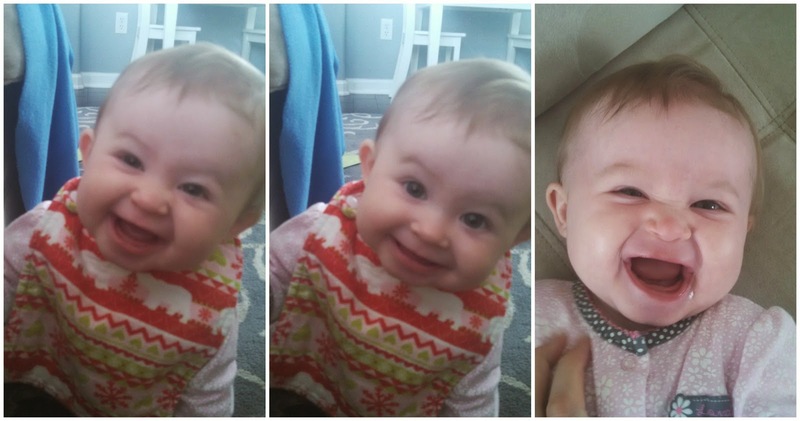 She was super happy and smiling showing off her two bottom teeth that finally popped through. 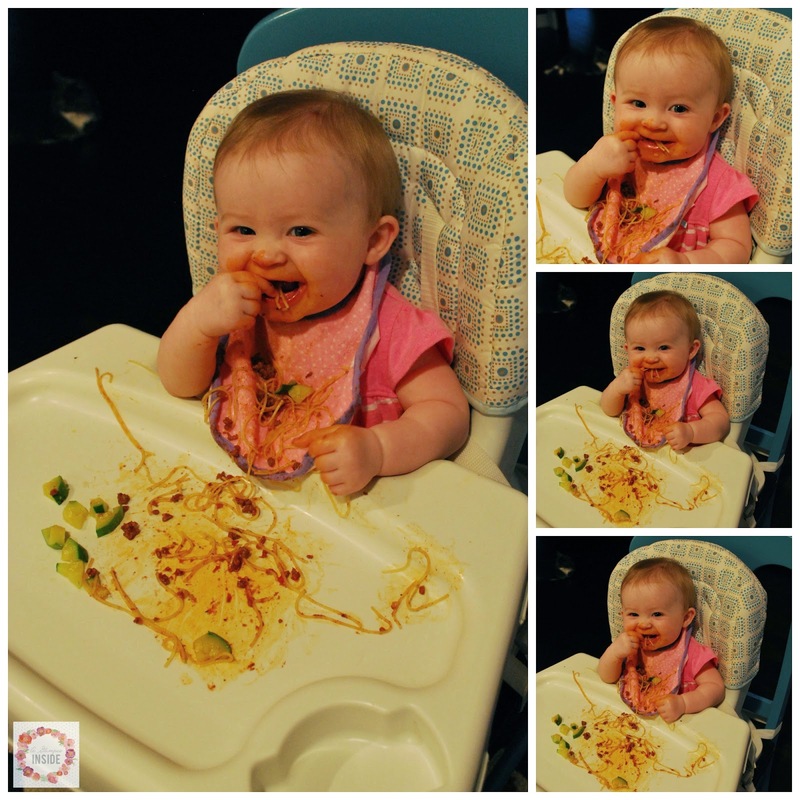 She tried spaghetti for the first time and she clearly enjoyed it! She even had her first taste of a McDonald's fry and she kept begging for more. 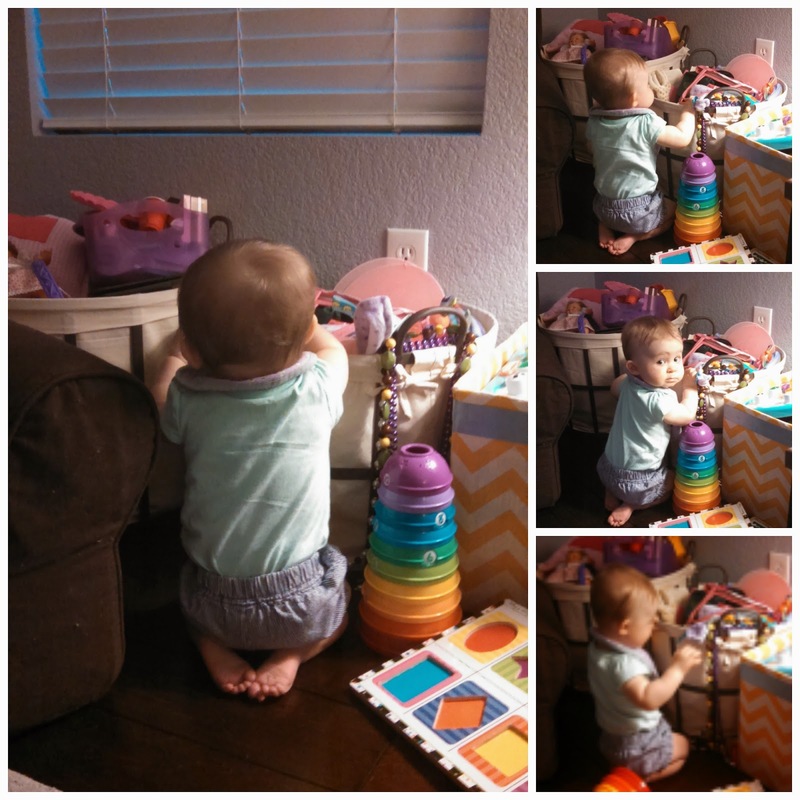 She started pulling up on all the furniture AND is finally crawling on her knees as well!! She still loves bath time and splashing! She makes a huge watery mess! She also still loves to sleep with her face while she sleeps. I felt so bad when I found her asleep in the photo above because she fell asleep while she was playing in her crib while I was in the shower and had to wake her up to go get Miss P from preschool. She is starting to pull out toys for herself now. She likes when big sis goes to bed and it is time for her to hang out with us all by herself. 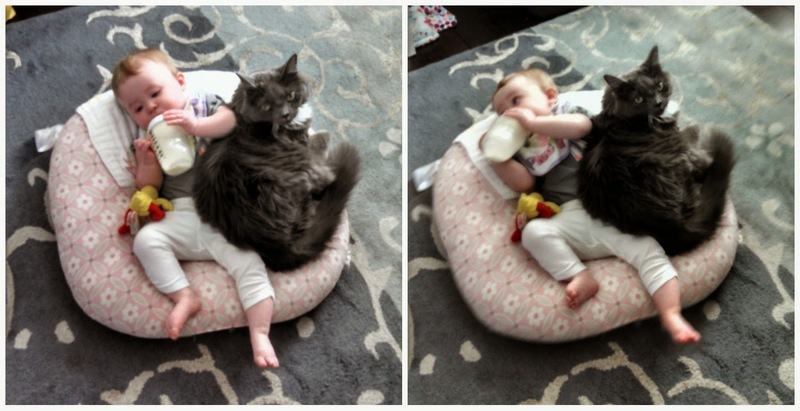 We still put her on her boppy lounger to drink her bottle and Patton LOVES laying on the boppy so much that he can't wait for her to even get off before he goes up and tries to lay on it, thus forcing her to cuddle. 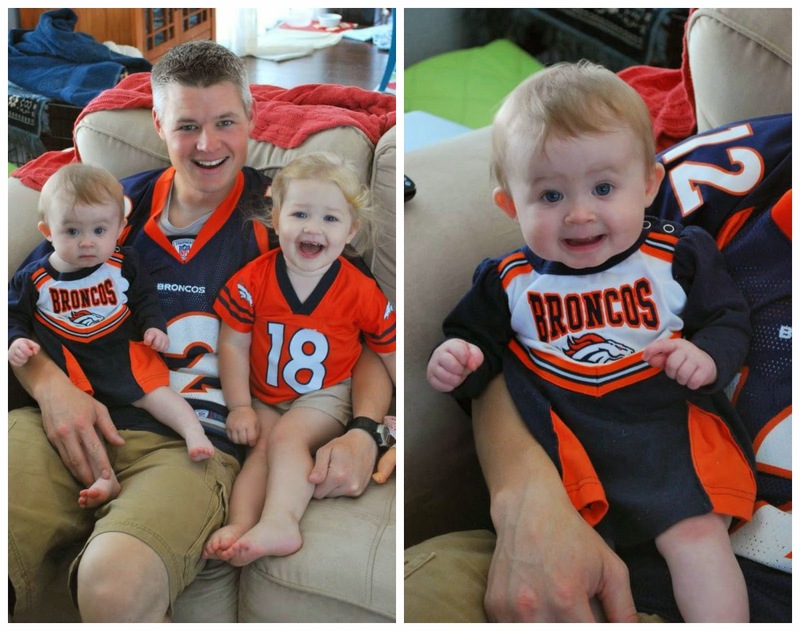 Daddy loves to dress her up in Broncos gear to watch and cheer during the games. We ended the month be taking her first trip to the pumpkin patch. The sheep and the goats loved checking out her shoes, though she was not too sure about ANY of the animals. 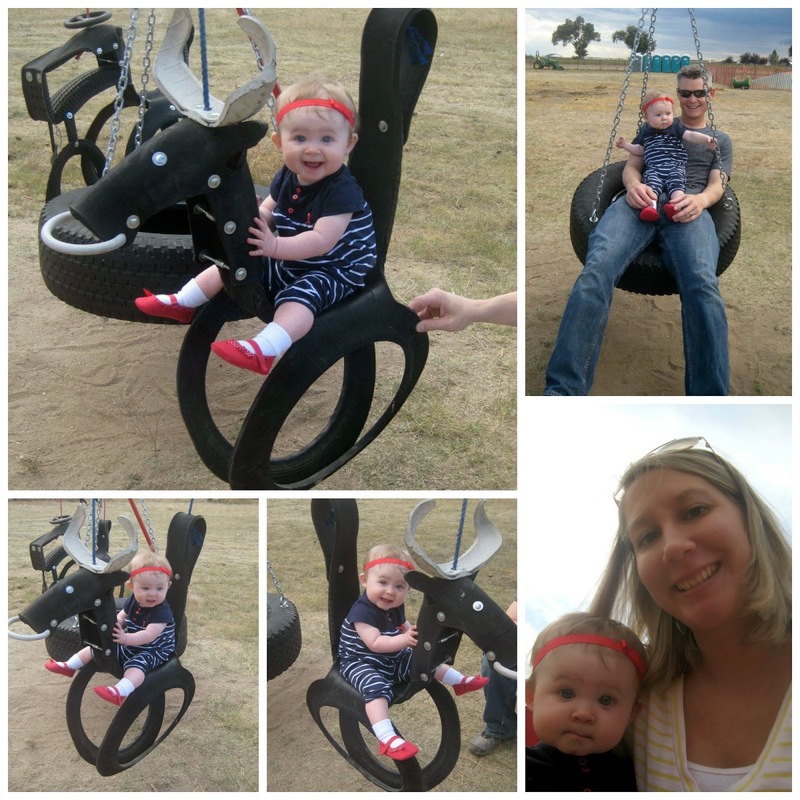 She had a blast riding the bull tire swing, tire swing, and the hay ride at the pumpkin patch. 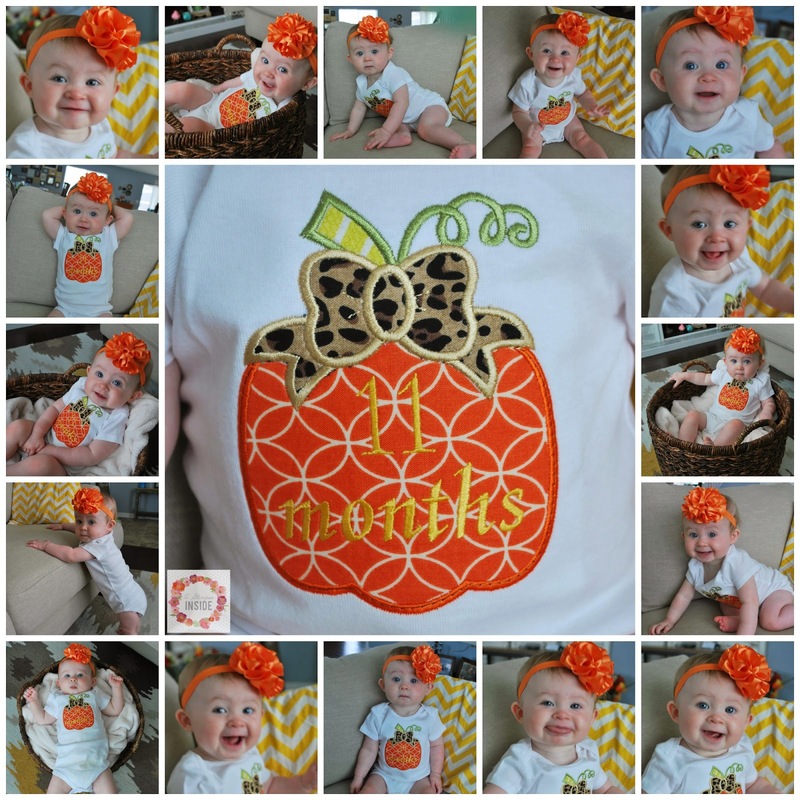 And a trip to the pumpkin patch wouldn't be complete without a photo shoot with the pumpkins! She loves to beg for ice cream when daddy eats it and of course he gives in. And she FINALLY hit 15 lbs! YAY!! Hopefully, she'll keep gaining weight. Adorable!! What a precious little one! Thanks for your blog, I so enjoy following you. Thanks so much! And thank you for following! So glad you enjoy my little neck of the blogging woods! She is so sweet! Hard to she will be one soon. Time is flying by.